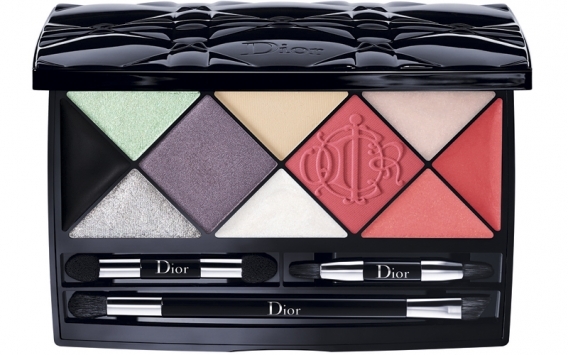 The spirit of the Kingdom of Colors collection captured in a graphic palette embossed with the personal crest of Christian Dior. Ten custom textures for a full beauty makeover: face, eyes and lips. A mattifying skin-perfecting powder, a pearly highlighter and a coral blush enhance the complexion. A deep purple enhanced with a silver shadow, an illuminating touch of aqua green and a black eyeliner define the eyes. 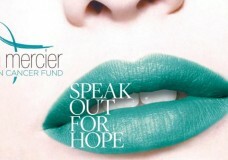 An iridescent or coral gloss and a powdery pink lipstick adorn the lips. Four professional applicators for the face, eyes and lips.